Systems that make your business efficient. Why change your processes to fit an off the shelf solution? Your business is unique, and you should have a system that gives you time to focus on what's important. We can quickly get you up and running, on PC or MAC, on iPhones or iPads, and working remotely. Get your time back and get your life back. Events are a snapshot into your brands. Data gives the full answer. With realtime access into events, distributors and brand managers can see what's happening with activations in markets across the US with a single click. 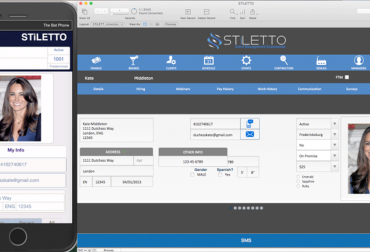 Desktop access allows teams to dive in and have a 360 degree view of event management. 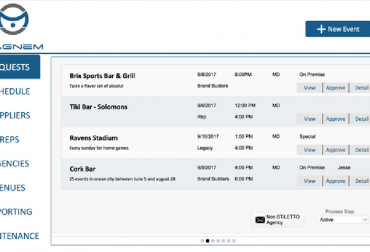 Event Requests and Reporting at your Fingertips. 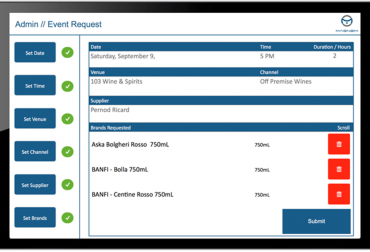 iPad access to all of your brands in the field, allowing reps to book promotions on the spot, with the right brands, venue information, and time of the event. Simple to use, all with the touch of your finger.